SANTA CLARA, California — Cappasity, the leader in scalable 3D and AR/VR imaging for online retailers, today announced that Guérin Joaillerie, the premium jewelry brand in Europe, will deploy its 3D imaging solution on Guerin.com. Delicate objects such as gem-encrusted rings can be difficult for traditional 3D modeling and scanning technologies to properly capture. Cappasity’s 3D product imaging technology is able to capture features that make jewelry difficult for other solutions to portray including the sparkle of gems and glitter of metal, transparency, reflections of light, and unusual design. Cappasity provides Guérin Joaillerie clients with the ultimate online shopping experience. Customers can see a 3D view of any piece of jewelry, zoom in and out, rotate the piece, and even view it in motion. As a member of Galeries Lafayette Group, the leading physical and online retailer with international standing and the benchmark in omnichannel retailing committed to an approach that emphasizes innovation, boldness, and creativity, one of Guérin Joaillerie’s goals is to provide its clients with the ultimate online shopping experience. Cappasity is revolutionizing the development and delivery of 3D content for e-commerce. With more than one million views of 3D content per month, the company’s proprietary 3D streaming format allows consumers to load and browse products with a 360-degree view, four times faster than other similar technologies. Using other more expensive technologies and equipment, it can take days to produce 3D product images and the files created are too large to play smoothly on most internet connections. With Cappasity’s unique combination of production software and services, retailers can rapidly create and upload thousands of 3D product images per day, create a 3D image in just two minutes, and run the solution using regular photo equipment. In addition, the same Cappasity-produced content embedded into a fashion e-commerce website can be used with AR/VR devices. “As an alumnus of Lafayette Plug and Play programme, Cappasity is just the type of fashion tech innovator we immensely enjoy working with,” adds Benjamin Chemouny, digital project manager. Residing in the historic Le Marais district in the heart of Paris, Guérin Joaillerie specializes in chic and vibrant jewelry, created with the skill that has withstood the test of time. In its stores, Guérin Joaillerie offers constantly renewed collections that strike the perfect balance between trendy and timeless, precious and affordable, with a quality of service worthy of the greatest jewelers. Meticulously selected by the Maison’s gemologists, the stones are sourced from all over the world, and are outstanding in their natural beauty. At Guérin Joaillerie, each stone is unique, exhibiting its own characteristics of shape and hue. Whether they are precious or semi-precious, the stones’ unrivaled tints and tones reflect the extraordinary story borne by each. 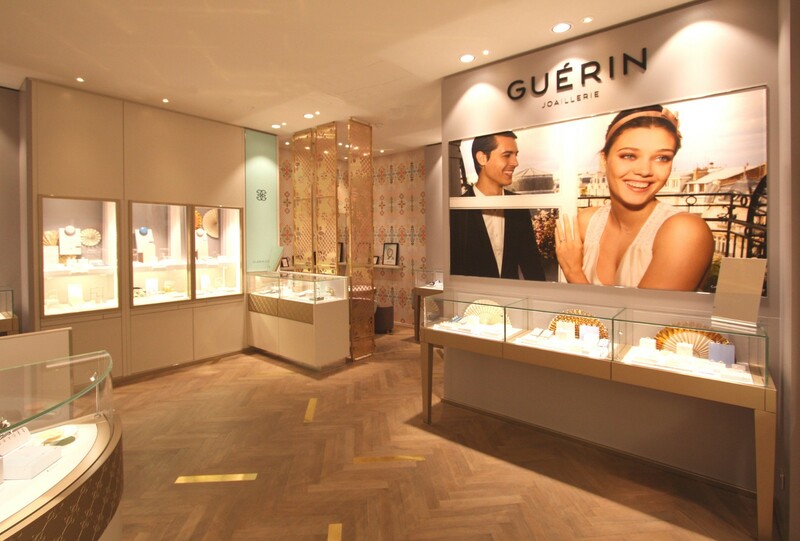 Guérin is a premium jewelry brand and a subsidiary of the Galeries Lafayette Group. Since 1969, the company has worked hard to open the exclusive, privileged world of jewelry to everyone. Its collections seek to strike a balance between trendy and timeless, priceless yet affordable, as can be seen in its iconic Diamants de Rosée and Alisma lines. 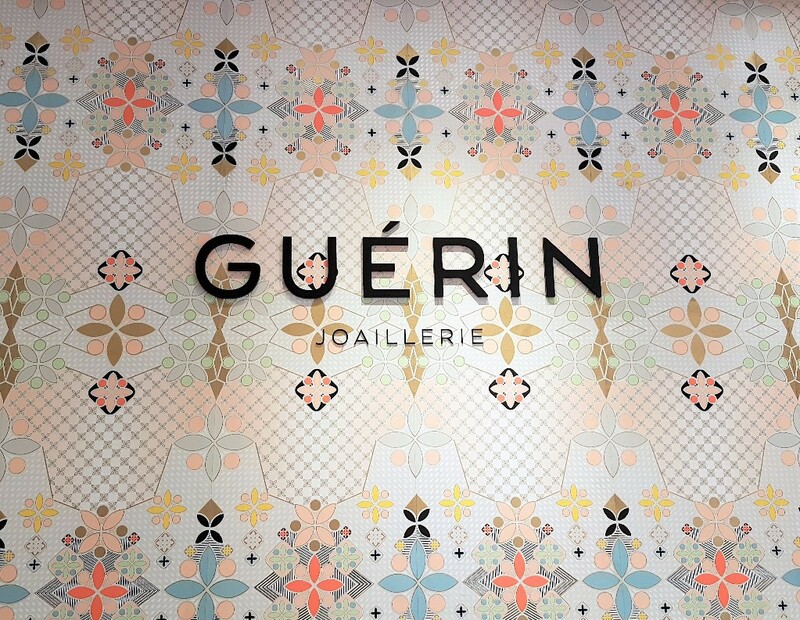 Guérin believes in jewelry that is chic, vibrant and at the cutting-edge of fashion. Located in the heart of Paris, this startup accelerator aims to support the development of French and international startups that are transforming retail and fashion. By supporting the industry’s leading startups, Lafayette Plug and Play seeks to adapt to the new dynamics in omnichannel retail and anticipate the expectations of clients, both online and in-store. Lafayette Plug and Play is at the heart of the big revival of the fashion and retail industry, with the goal of making retail and fashion the most innovative industries in the world. Founded in 2013, Cappasity is an easy, scalable platform for creating, embedding, and analyzing 3D and AR/VR content. The company successfully raised over $4.9M and launched its platform and 3D digitizing software in 2017. Cappasity brings an in-store browsing experience to online retail through interactive and photorealistic 3D images that can be easily embedded into websites, mobile apps, and AR/VR applications. The company’s clients report a more than 30 percent increase in conversion rate and fewer returns. With headquarters in Santa Clara, California, Cappasity is now also working with luxury brands at Station F in Paris. For more information, please visit www.cappasity.com.